Any marketer tracking basic e-mail metrics can use this model to better target content and, hopefully, improve performance. It’s not that this model is better than others that segment by interest, industry, or another differentiator. It’s that this model relies on information that should be available from even the most basic e-mail marketing program. My last two columns presented phases one and two of a common reactivation campaign, to address those that haven’t opened, clicked, or converted in a while (group two). Now on to phase three. Phase three is by no means mandatory, but for clients who value their list and want to keep as many people active as possible, we often undertake it. It relies on a second channel to reach inactives: U.S. Postal Service direct mail. This is only possible if you have U.S. Postal addresses tied to your e-mail addresses. If you have something you send to readers on a regular basis, you can segment the inactives and including a reactivation message to just that group. If you don’t have a regular U.S. Postal mailing you can piggyback on (or if you can’t do the segmentation), then the most inexpensive avenue is a direct mail postcard that sends readers to a Web site to confirm their interest or unsubscribe. When I do this with clients, we usually see between 8 percent and 13 percent of confirmations coming in this way, along with 1 percent to 4 percent of unsubscribes. None of my clients has ever tracked how likely people who confirm their interest this way are to open, click, or convert in the future. I often wonder if there’s a deliverability issue, since these people didn’t respond to the earlier e-mail phases. The more response you get from an offline reactivation program, the most strongly I suggest you look into deliverability and make sure you don’t have issues. I model the postcard creative after the stand-alone e-mails developed for phase two; you can often use the same copy and landing page(s), although you want to be sure your URLs are easy to read and type into a browser (since you can’t click on a direct mail postcard). If a username or password is needed, be sure to include it on the postcard or offer a way for users to get them if they have been forgotten. A draft version of a reactivation postcard, thanks again to client Union Privilege, appears below. This third phase should start after phase two has ended; it is the most expensive channel to use for reactivation, so you want to do as much as you can with e-mail first. If your first direct mail efforts get a high response, you should do a cost-benefit analysis and consider a second or even third effort. Keep your expectations realistic when you enter into a reactivation campaign. You aren’t going to get 100 percent of the people to confirm they want to receive e-mail from you — in truth, you won’t get 100 percent of them to respond at all. A good reactivation campaign can reengage between 3 percent and 9 percent of your list, and get about the same number of people to unsubscribe. That will still leave you with 80 percent or more of your inactive group that hasn’t responded. This is when the tough decisions need to be made. It’s a best practice to remove from your list these inactives who have subsequently not responded to your reactivation campaign. That’s best for your budget and puts you at a lower risk for spam complaints. 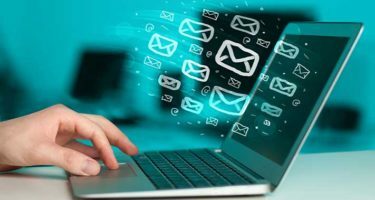 It has another upside: it will immediately, and sometimes significantly, increase your e-mail metrics. Now don’t get me wrong — it’s not necessarily that a lot more people will be opening and clicking on your e-mails. It’s that your list universe will be smaller. Those 15,000 opens you had on your list of 100,000 actives and inactives garnered a 15 percent open rate. Remove the 30,000 non-responding inactives and your list quantity drops to 70,000; those same 15,000 opens (which you should still get) will now generate an open rate of 21 percent. You can track this lift through all your metrics, from open to clicks and conversions. If you absolutely, positively can’t remove the names for some reason, you should at least decrease the frequency with which you mail to them. Years ago I had a client in this spot; staff bonuses were based on the size of their list, so it wasn’t in their best interest to purge the inactives. Instead, we segmented this group from the rest of the list and significantly decreased the send frequency. The inactives only received e-mail during the key sales season; anyone who opened, clicked, or otherwise responded to one of these missives was added back to the active list. Take a few minutes this week to think about how a reactivation campaign could enhance your e-mail marketing efforts. Draft a multi-phase “reactivation plan” for your organization, based on the three phases I’ve laid out here. In my next column we’ll move on to discuss group three: those who have opened your e-mail but haven’t clicked or converted.